Our Founder and trustee, Terry Ingham moves into a hospice. There are no words to describe the impact that this man has had on the foundation, his generosity, the magic of relationship with him. 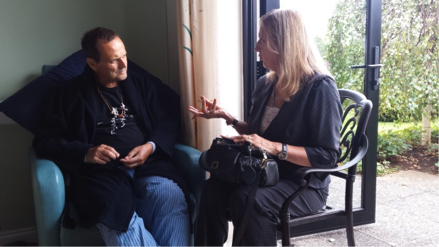 Even in the hospice he was enquiring with Jane Reed into the ontology – the DNA of ecl, “The key that unlocks the door, that brings it alive is embodied knowing. The doorway is phenomenology”. And in typical Terry fashion saying, “Oh I am so enjoying this conversation!” We ask everyone to hold him and his family in your prayers.